Interfaith Social Services is seeking donations of new Halloween costumes until Oct. 15 for children in and around Quincy. 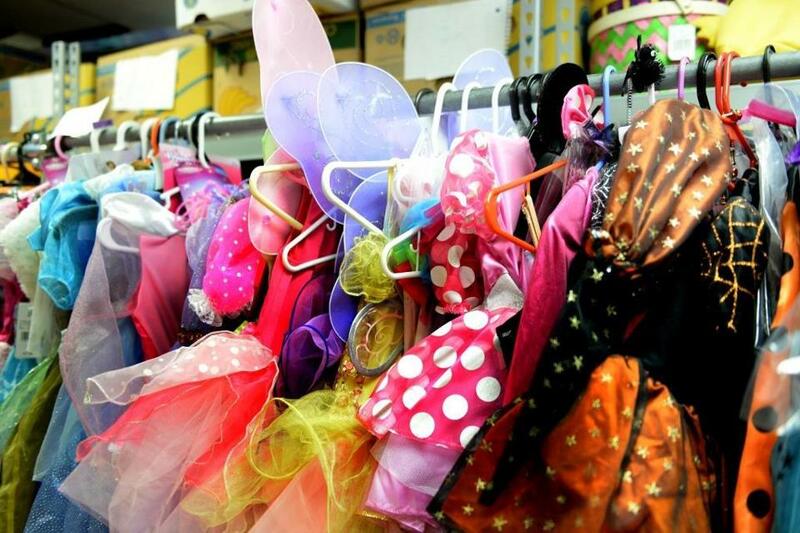 A social services organization in Quincy is holding a Halloween costume drive through Oct. 15. Interfaith Social Services offers food, mental health counseling, and homelessness prevention programs for people in need. The drive will help bring the spooky spirit to children whose families may not otherwise be able to buy Halloween costumes. Donations can be delivered to Interfaith’s offices at 105 Adams St. weekdays from 8:30 a.m. to 3:30 p.m.. The drive ends Oct. 15. Visit interfaithsocialservices.org. The Thayer Public Library in Braintree recently unveiled its newly renovated children’s room. The library was able to create the room for toddlers’ social and literary development through a $25,000 donation from Weymouth-based South Shore Bank. The bank’s donation also helped fund a train table, puppet playhouse, magnetic board, and other items for the story time area. Braintree Mayor Joseph Sullivan and South Shore Bank President Paul Pecci attended a ribbon cutting on Sept. 15. The library is located at 798 Washington St. The Friends of the Blue Hills in Milton are holding a raffle for a three-course dinner at the top of Blue Hill Observatory . The dinner for six will be prepared and served by Brian Mcelhiney, executive chef of Port 305 in Quincy’s Marina Bay. The raffle will be held Thursday, Oct. 4, at the Canton Town Club, 300 Bailey St., Canton. Tickets are $15 each, or three for $35. Visit www.friendsofthebluehills.com/raffle2018. The Duxbury Rural and Historical Society will host the Duxbury Maritime Festival & Tavern Night at the Nathaniel Winsor, Jr. House, 479 Washington St. Festivities begin at 10 a.m., with varying start times for events. Participants can tour the historic shipbuilding district, visit the petting zoo, purchase a raffle for a tour of Plymouth Light and the historic Gurnet Lifesaving Station, and buy snacks from the food trucks. From 10 a.m. to 3 p.m., members of the Jones River Landing Environmental Heritage Center will demonstrate boatbuilding and offer hands-on activities. At noon, maritime tunes will be performed by the New Bedford Sea Chatney Chorus. Tickets for the Martime Festival are $20 for children over 12 and adults; under 12 is $5. Raffle tickets costs $20. Tavern Night begins at 6 p.m., when Irish music, a raw bar from Island Creek Oysters, and drinks will be included with the cost of admission: $60 for nonmembers, $55 for members. Visit duxburyhistory.org/events/ or call 781-934-6106.